Sprays wide to cover large areas. Elmer's Multi-Purpose Spray Adhesive, 11 oz, Aerosol - Spray adhesive is specially formulated for mounting items to a variety of surfaces, including plastics. Dries fast and clear. Sprays wide to cover large areas. 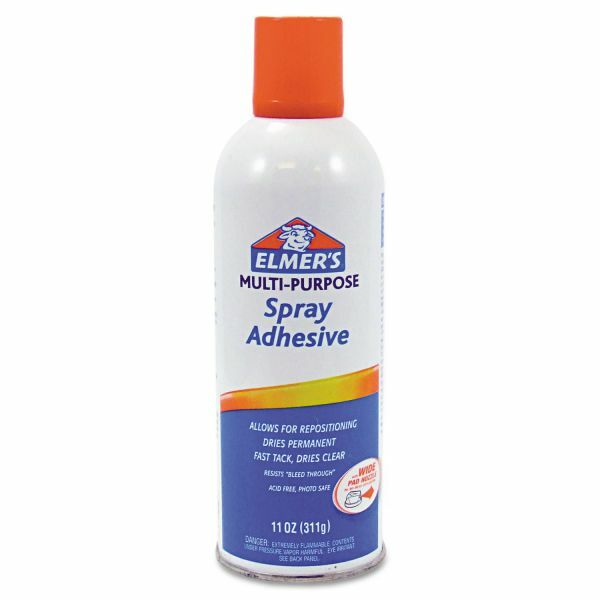 Acid-free and photo-safe spray adhesive delivers a temporary bond and resists bleed-through for professional results.